Evoking the traditional east African style of the 1940’s, Jack’s Camp offers a luxurious adventure not just in another land, but another time. Walk with the San Bushmen, meet our friends – some of whom, full disclosure, happen to be meerkats – and experience the vastness of Botswana’s Makgadikgadi Salt Pans as Persian rugs, cool cotton sheets and exceptionally well appointed luxury tents both contrast and complement the wild, rugged surroundings. Those looking for a classic safari adventure that combines vintage African charm with total luxury. Favourite Moment? Feeling the ground shake as hundreds of zebras stampede across the Makgadikgadi is something you'll NEVER forget. Staying at Jack’s Camp feels like becoming a character in Out of Africa. It’s remote, romantic, classic and luxurious – the perfect place to get away from it all. The closest airport to Jack’s Camp is Maun (MUB), about a four and a half hour drive from the camp. Another option is Kasane Airport (BBK), about a seven hour drive. However, you may enter Botswana through Gaborone, and take an internal flight to Maun or Kasane. Air Botswana provides international flights between Gaborone and Johannesburg, Windhoek, Harare and Cape Town and internal flights to Francistown, Maun and Kasane. In addition to enjoying the vintage accommodations and serene isolation of the Kalahari, Jack’s Camp offers a number of activities that will allow you to explore the terrain and get to know the locals – human and otherwise. 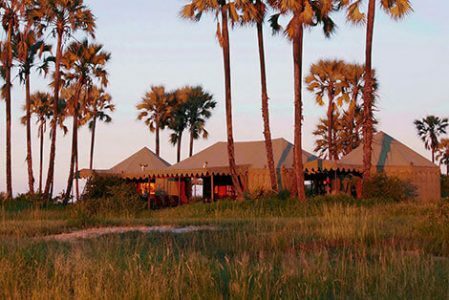 Jack’s Camp features 10 luxury safari tents in two styles: double tents and twin tents. 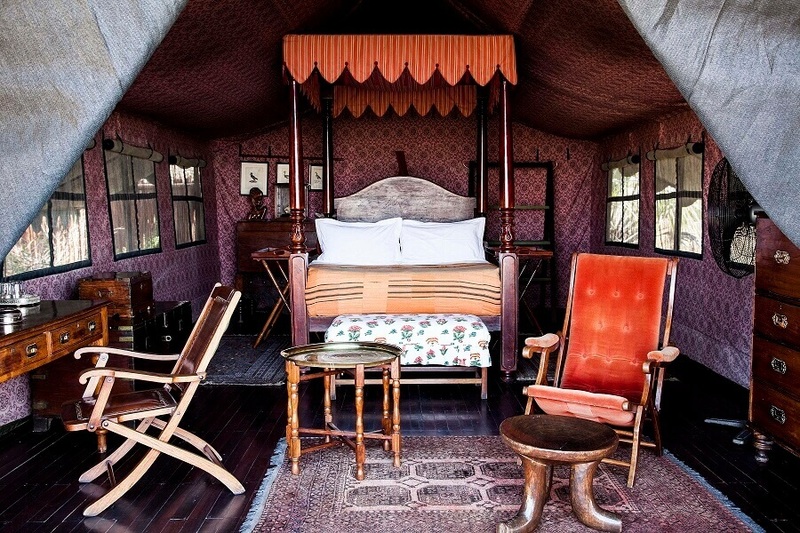 Each tent has its own en suite bathroom, 24-hour electricity, exotic bedouin furnishings and rare African art. 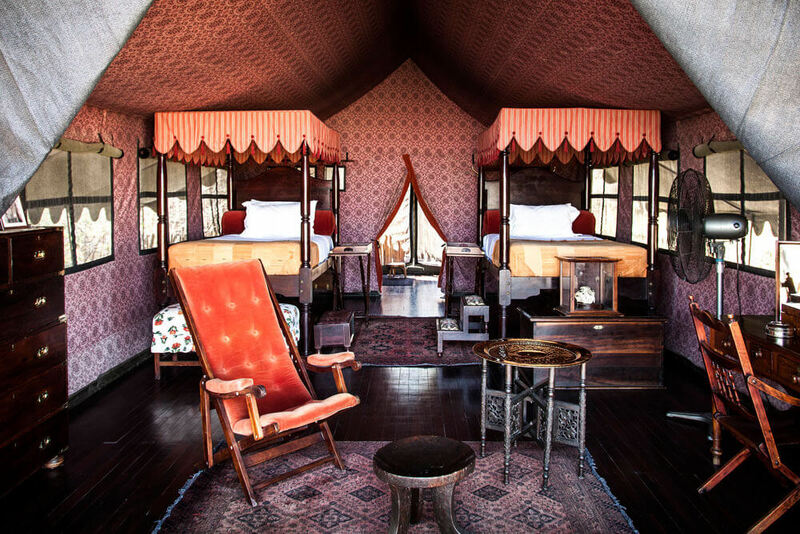 The tents are spacious and stylish with a sophisticated 1940s safari atmosphere, with Persian rugs underfoot and cool cotton sheets, offering a striking contrast with the rugged wilderness viewed from the comfort of one’s own veranda. Tents can accommodate a maximum of two adults and one child sharing. Each one includes double beds, a patio, en-suite bathrooms featuring indoor and outdoor showers. Tents can accommodate a maximum of two adults and one child sharing. Each one includes twin beds, a patio, en-suite bathrooms featuring indoor and outdoor showers. Looking to extend your adventure? Discover a few ways to weave Jack’s Camp into an even grander journey.